Banffshire & Buchan Coast SNP: Scottish Tories "Failing to Stand Up for Scotland"
Scottish Tories "Failing to Stand Up for Scotland"
The SNP has said that Scottish Tory MPs have “repeatedly broken their vow to stand up for Scotland” in the six months since the general election. 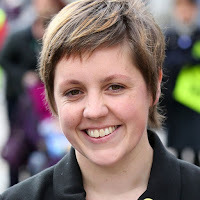 SNP Westminster Deputy Leader, Kirsty Blackman, accused the 13 Scottish Tory MPs of “failing to stand up for their constituents” and “putting the narrow interests of the Tory party ahead of the jobs, incomes, and livelihoods of the Scottish people” in a series of parliamentary votes and debates. In June, Scottish Tory leader Ruth Davidson pledged: "I'm going to make sure that along with the 13 MPs we're sending to Westminster, we put Scotland's case forcefully and make sure that we deliver for Scotland, and make sure that the union delivers for Scotland too. I want to ensure that we can look again at issues like Brexit, which we know we are now going to have to get cross-party support for – and move to a consensus within the country." The SNP has pointed to eight times that the Scottish Tories have betrayed that pledge, including by – supporting cuts to Scotland’s budget, driving Scottish families into poverty with austerity measures, voting for a power grab from the Scottish Parliament, voting against single market and customs union membership, opposing a meaningful vote on the final Brexit deal, opposing a halt to universal credit, opposing justice for Scotland’s WASPI women, and breaking their promise to secure Barnett consequentials from the £1billion DUP deal. “The Scottish Tories have repeatedly broken their vow to stand up for Scotland – putting the narrow interests of their party ahead of the jobs, incomes, and livelihoods of their constituents. “Far from fighting Scotland’s corner, they have rubber-stamped every single damaging Tory policy – from cuts to Scotland’s budget, to continued austerity, and Theresa May’s plans for an extreme Brexit. “While SNP MPs have consistently defended Scotland’s interests, Tory MPs have shown they are incapable – and thanks to their failings Scottish families and public services are losing out. “It is no wonder that the Scottish Tories are sliding in the polls when their austerity cuts have driven many families into poverty, debt and destitution, and when their plan to drag Scotland out of the single market and customs union will cost hundreds of thousands of jobs.